Fouriesburg is a small border town nestled in the highlands of the eastern Free State. It lies under the Maluti Mountains, a physical barrier between South Africa and Lesotho. The town is just 9 kilometres from the official South Africa - Lesotho immigration post. Fouriesburg was established on the farm of Groenfontein in 1892 and was later declared the capital of the then Orange Free State Republic during the Anglo-Boer War. The war is an important part of the town's history and it has witnessed many battles, one of which nearly destroyed the town completely. The town is named after the owner of the original farm, Christoffel Fourie. Contrary to its history, Fouriesburg today is known as a particularly quiet, peaceful neck of the woods. It is inhabited mostly by a relaxed farming community that cultivates things like cherries, sunflowers and corn among others. Some farms in the area offer tours to curious visitors can get a glimpse of how a working farm operates. Being at the base of a large mountain range means that outdoor activities are in no short supply. There are the obvious choices of mountain biking and hiking on offer, but one can also try one of the 4x4 routes or go for a long horse-ride, which is undoubtedly a good way to get in touch with nature. In the lower reaches of the mountain slopes there are numerous sites of interest, from ancient overhangs now used for fertility rituals to examples of San rock paintings. There are also memorials to fallen Anglo-Boer War soldiers and the Golden Gate National Park nearby. Fouriesburg is easily accessible from some of the largest cities, including Durban, Bloemfontein and Johannesburg, all of which are less than 400 kilometres away. The tiny artistic hub of Clarens is only 35 kilometres away. A quick look at our website will give you the information you need to make your choice. You will find reviews and you will also be able to compare prices and find wonderfully affordable accommodation in Fouriesburg. 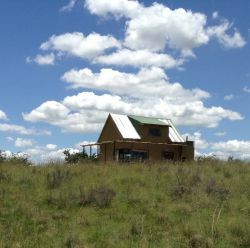 Are you planning the perfect getaway but have not yet found your ideal Fouriesburg accommodation? By using our easy website, you can find great accommodation of all types, whether it is a cosy bed and breakfast or a comfortable lodge. We have thousands of easy to find listings for self-catering facilities, holiday homes, guest houses and hotels as well as backpackers, chalets, caravan facilities, villas and apartments, giving you a wide variety of options when it comes to your accommodation in Fouriesburg. To help you find the right place to stay, we have a number of tools that you can use, including a map. This will help you to pin point exactly where you will be staying and it will show you the accommodation facilities that are closest to where you will be. Regardless of the reason for your visit to Fouriesburg, we can guarantee that you will find the type of accommodation you are looking for. But reviews for Fouriesburg accommodation is not the only information you will find. Want to know if your Fouriesburg accommodation is pet-friendly or allows smoking? All of that information is included on the listings page. You will also be able to find which activities are on offer and the sort of amenities included with each room. All of this information will help you to make an informed decision before you make any payments to, giving you more peace of mind about your choice. 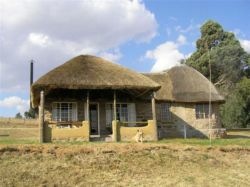 We include all of the contact details of the self-catering accommodation, holiday homes, guest houses and hotels as well as backpackers, chalets, caravan facilities, villas and apartments in Fouriesburg which are featured on this website, so you also have the option of getting directly in touch with the place. 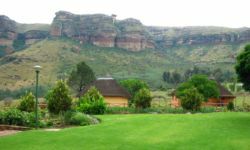 Regardless of where you are staying, we feature Fouriesburg accommodation in that area of the province. 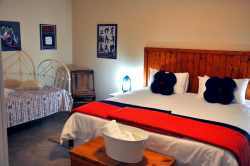 You have options of Fouriesburg guest houses, lodges and bed and breakfasts, among others, ranging from your more affordable, lower prices to your more luxurious options. So, you are not visiting for a holiday but rather for business and all you need is a place to stay for a night or two? The bed and breakfast options, as well as the lodges, are generally preferred by business people and you will find all types, from your more luxurious lodges to your simple, self-catering bed and breakfast. Each will give you a safe roof over your head while you are in the province. Fouriesburg accommodation is not only affordable but well situated. If you are doing business in this area, this is a great accommodation choice. Spending more than a few days in the province? Perhaps you are indulging in a tour of the region and you are looking for a few places to stay? 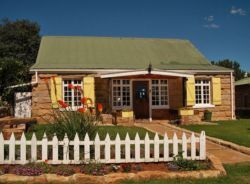 Browsing through our listed self-catering accommodation, holiday homes, guest houses and hotels as well as backpackers, chalets, caravan facilities, villas and apartments in Fouriesburg will give you all of the information you need to make your selection. And once you have found the ideal place to stay, you can either request a quote or make your booking directly on this website. Sleeping-OUT.co.za is designed to make finding and booking accommodation in Fouriesburg easier than your traditional methods of sourcing a place to stay! 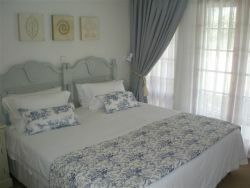 We include some great accommodation special deals in and around Fouriesburg. This was a lovely,unexpected surprise as you tend to always think that there is a catch to receiving your money back in full for your accommodation paid. The service received from Sleeping Out was professional and prompt and I will definitely use them again when I book accommodation. Thank you Sleeping Out! 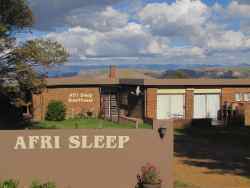 38 reviews of Fouriesburg Accommodation.